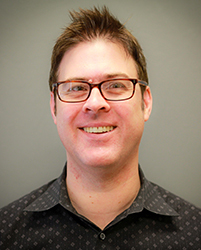 Eric Larsen is a principal economic researcher at AIR, specializing in program and policy evaluation in education, teacher and leader effectiveness, No Child Left Behind, and longitudinal education studies. He is currently the lead quantitative researcher on the Evaluating the Impact of Principal Preparation project and the State of Florida’s end-of-grade and end-of-course teacher value-added models (VAMs). In prior years he has been the technical lead on a number of projects related to teacher value-added and student growth, including the student growth component of the Teacher Leader Evaluation Systems Study, the State of Delaware’s end-of-grade growth model, and Baltimore City Public Schools’ end-of-grade and end-of-course VAMs. Prior to joining AIR in 2012, Eric was a research fellow at the Public Policy Institute of California, where his research focused on No Child Left Behind and California’s school accountability programs. He has experience as both a researcher and a practitioner, having taught English in California public schools for eight years.